At Lowe & Rauf, we like to stay ahead of the game and as such we are constantly evolving and learning! This month’s workshop was all about: DIGITAL! Michael Leander is an accomplished international digital marketing speaker who has downloaded his expertise to audiences in nearly 40 countries. 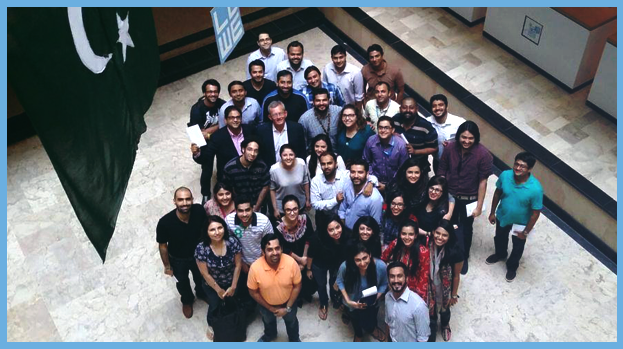 He recently visited Pakistan where he conducted a digital marketing training session at Lowe & Rauf. During the session he shared his insights and the latest global trends in digital marketing through case studies and mini beak-out sessions; whilst also sharing how he maintains client relationships nad stays ahead of the game! Zainab Ghani, Creative Group Head at Lowe & Rauf Digital.